James Holt catches a big GT on a surface popper. 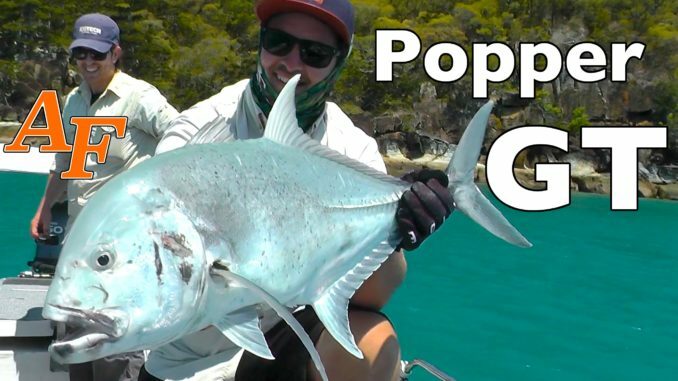 Popper fishing around the Whitsunday Islands for monster Giant Trevally can be very rewarding. These huge fish fight hard and can be caught on top water poppers, which makes for exciting surface strikes. Catch one of these great fish and you will be a happy camper.